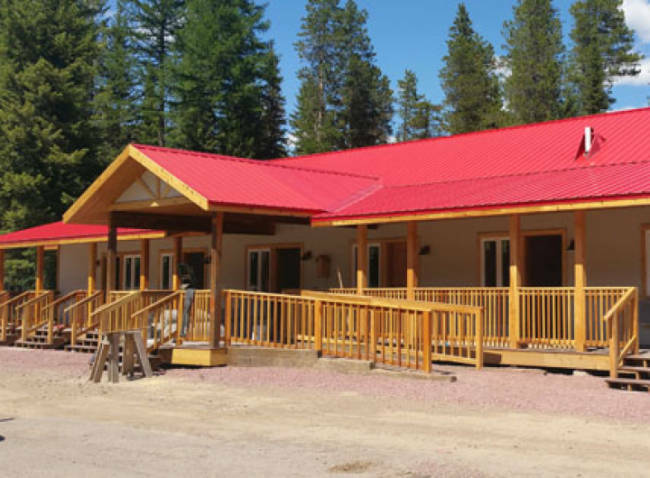 Located in Essex, Montana is the newly renovated Halfway Hotel, which is conveniently located on Highway 2, halfway between West and East Glacier. 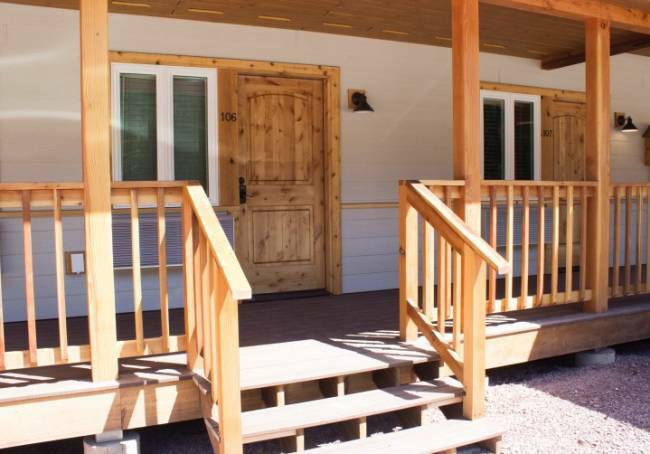 These brand new accommodations are affordable, yet come complete with modern amenities. The area of Essex is more remote, offering guests the simple pleasures of nature without the crowds. Whether it's a leisurely nature walk or a half day's hike, there are numerous trailheads in Essex. 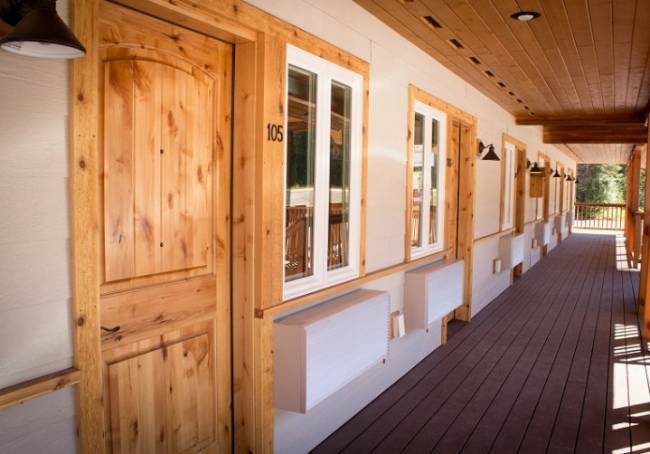 There is a large, grassy recreation area for guests to enjoy which includes horseshoe pits, picnic tables, and barbecues. 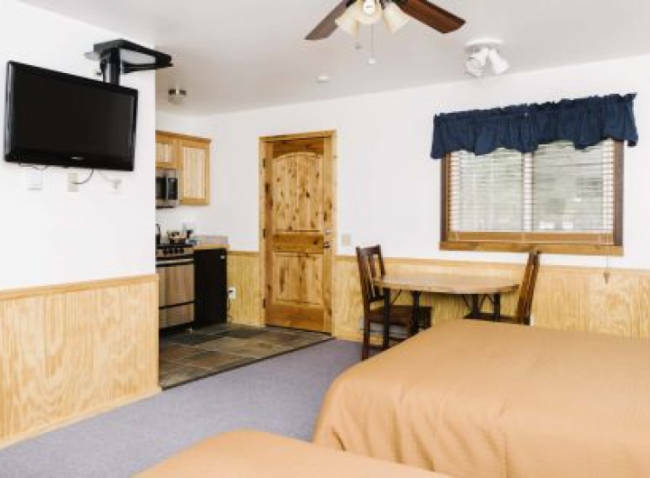 The closest place to eat is a mile away at the Izaak Walton Inn's restaurant. 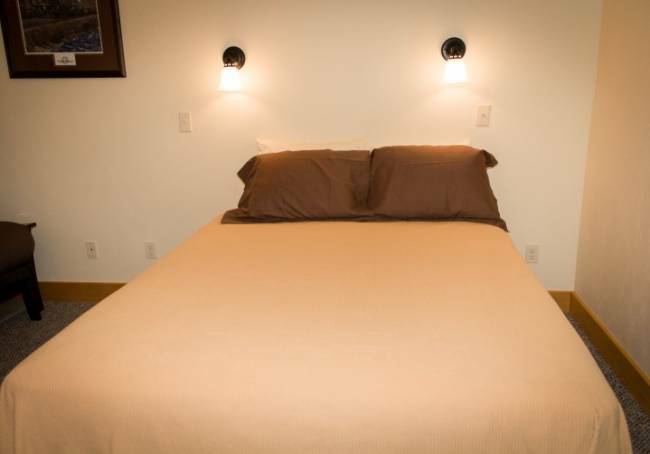 Each newly renovated room features one queen bed and one twin futon, sleeping up to three guests comfortably. 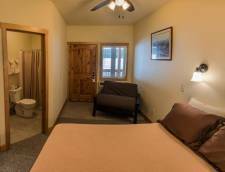 All the rooms have a private bathroom with a tub/shower combo and include complimentary WiFi, 32” flat screen, satellite television, and air-conditioning. 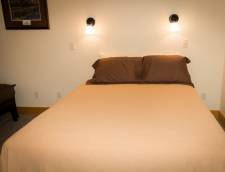 Suites are adjacent to the hotel and feature two queen beds. 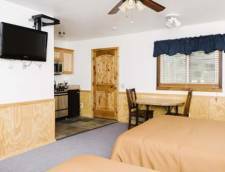 These suites feature two queen beds and a kitchenette that offers a small oven with stove top burners, sink, microwave, and mini-fridge. The suites are located adjacent to the hotel. The first-night stay is due at the time of the reservation. The remaining balance is charged in full 30 days prior to arrival. 30 days prior to arrival to cancel without penalty, once you are within 30 days prior to arrival you forfeit your entire balance. One well behaved pet is permitted per room unless prohibited by state law or ordinance. Service animals are always allowed. 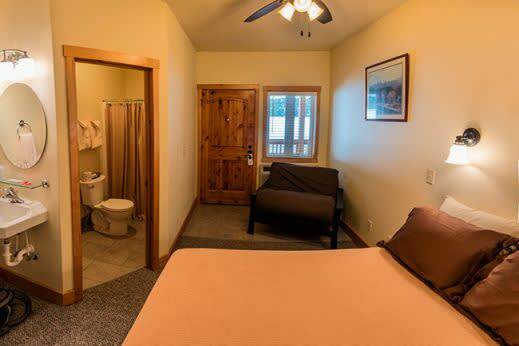 A cleaning fee of $20 per night will be charged to your room. Pets must be declared at time of reservation. Pets must be attended at all times. Pets may not be left unattended in the room at any time. In the event of a noise complaint or your pet becomes a nuisance to other guests you will receive one warning. Upon second warning you and your pet will be asked to vacate the property immediately without the possibility of a refund. Pets must remain on their leash while outside of the room at all times. When walking pets on the property, we ask that you please be considerate of other guests and clean up after your pet. Rates Policy: Rates are subject to change or increase depending on availability and season. Late checkouts are subject to a $50 fee.